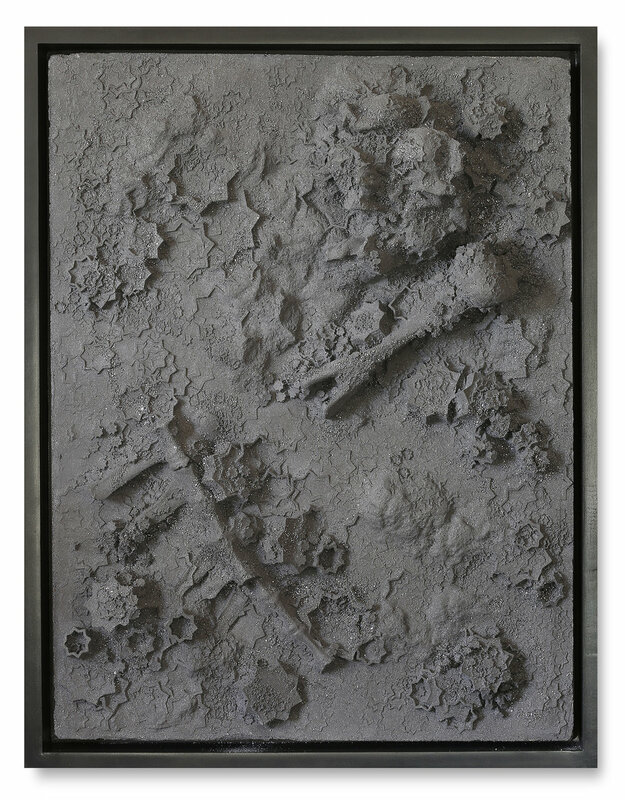 Silver Rectangle # 1, 2017 - Acrylic paint, salt and Kohl on wood - 176 x 230 cm - 69.3 x 90.5 in. 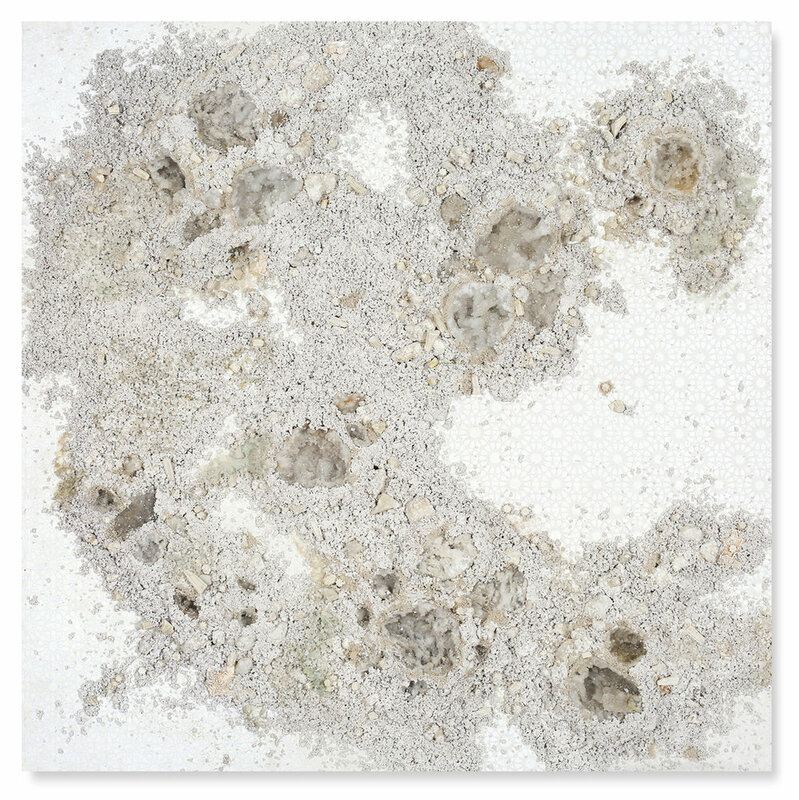 Silver Square #1, 2016 - Acrylic paint, pigments, salt, kohl minerals, ashes and gravel on wood - 158x158cm-62.2x62.2in. 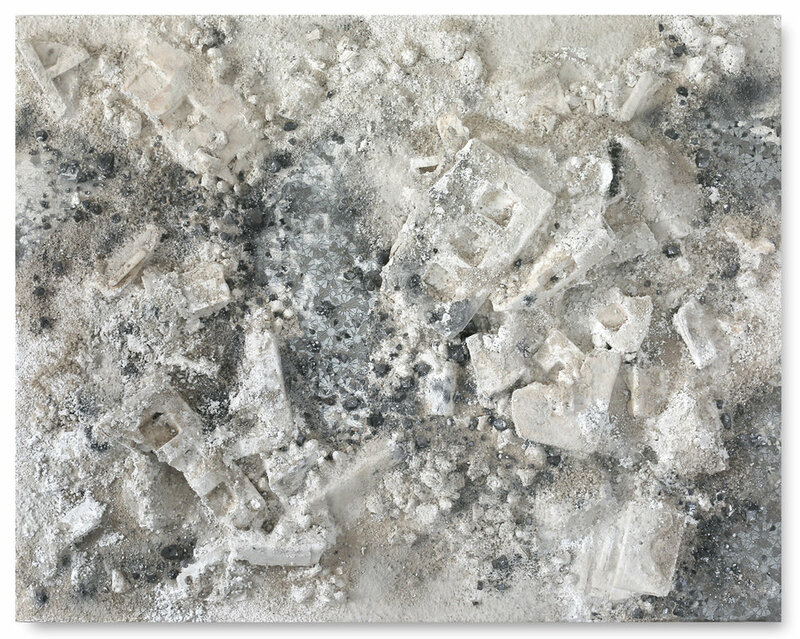 White Square #2, 2017 - Acrylic paint, salt, plaster, found objects and gravel on wood - 158 x 158 cm - 62.2 x 62.2 in.